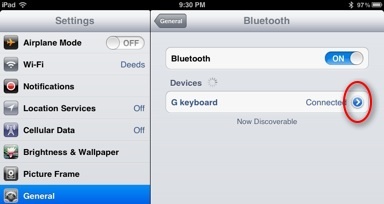 If you already have a Bluetooth keyboard you can follow the steps below. 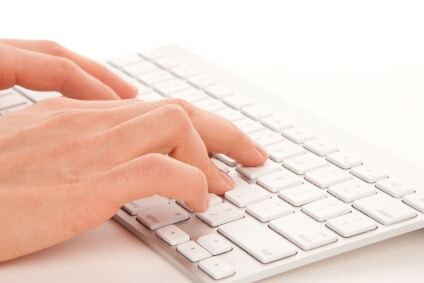 If you don’t have a Bluetooth keyboard yet, I’ll be posting more information about them on a future post. 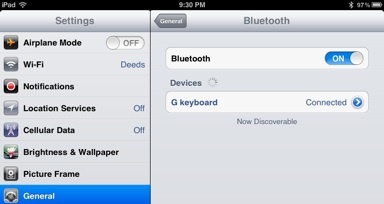 Before you can connect your Bluetooth keyboard to your iPad, you need to make your iPad visible or discoverable to other devices. And tap on the Bluetooth button to set it to “ON”. 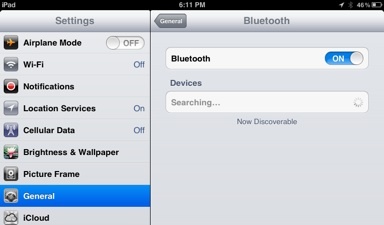 You will see the Bluetooth symbol appear on the top right of the iPad screen. Now we are ready to connect (pair) your iPad with the keyboard. 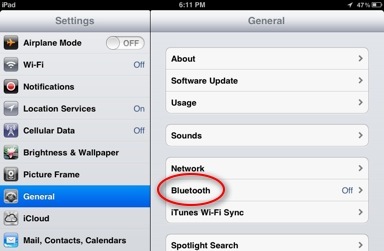 Note: If you have a Bluetooth keyboard that is already connected to your Mac or PC, you will need to disconnect the keyboard from your computer first and maybe even turn off the Bluetooth signal on your computer so that it does not interfere with the one on the iPad. Turn on your Bluetooth keyboard. You should see your keyboard showing up on the Devices section. Tap on your keyboard on the list of devices. A popup dialog box appears requesting to enter a PIN code on your keyboard. Enter the PIN on your Bluetooth keyboard and press enter. After a few seconds, your keyboard will be listed on the Devices section as Connected. You can now switch to any App (i.e. 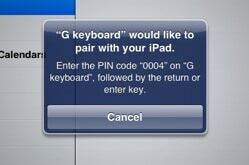 Mail) and start using your Bluetooth keyboard to write your text on the iPad. 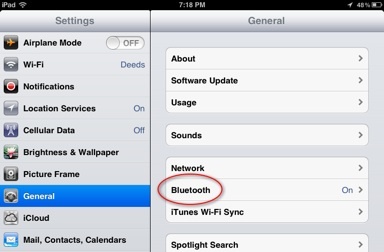 When you are done using your Bluetooth keyboard, you can disconnect it following these steps below. 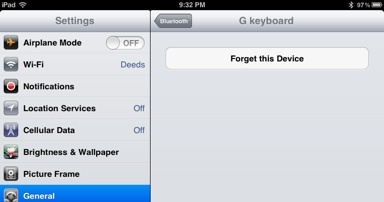 Then tap on the button that says “Forget this Device”. A confirmation popup will appear. Tap on Ok to confirm. Your keyboard will be disconnected. If you wish to turn off Bluetooth, tap on the “Bluetooth” arrow to go to the previous screen and tap on the Bluetooth button to turn it off.